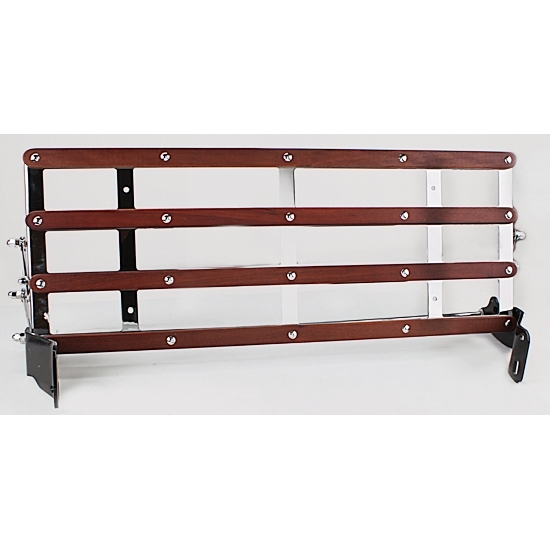 Reproduction Model A luggage rack. Chrome with genuine wood strips protected with an attractive clear finish. NOTES: Item has metric bolts and nuts. The luggage platform on this rack measures 35" x 13-1/2". This does not come with mounting hardware.